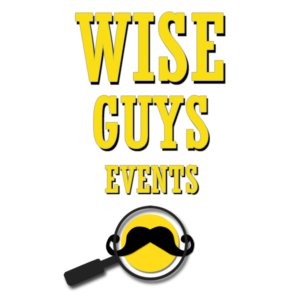 Wise Guys Events has the best ideas for team building Scottsdale corporate events, whether it’s an executive retreat at the Montelucia, a school orientation game at McCormick-Stillman Railroad Park, an escape room experience at the Westin Kierland Villas, or a pub crawl scavenger hunt through Old Town. Your team will bond as they’re having fun together out of the office, but that’s just the beginning. 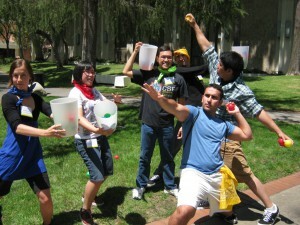 Our team building activities comprise mental, physical, and creative games. 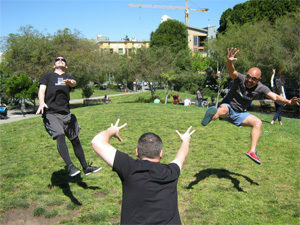 We shine a spotlight on the team’s diverse talents, but also illuminate cool nooks and crannies in every neighborhood where we run our novel team building games. We know all the best places for team building events, team bonding games, and private parties in Scottsdale. 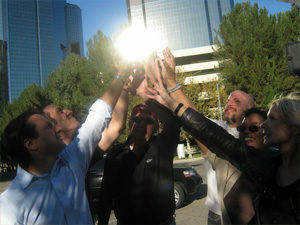 We want to make your team building Scottsdale event extraordinary. So tell us: where do you want to play? Old Town Team Building: Scottsdale’s most popular pedestrian thoroughfare is chock-a-block with fun pubs and bars, public art, foot traffic, and great shopping and photo ops. Team building Scottsdale games in Old Town are among our signature offerings, and there’s no one in town who does it better. Nature Team Building: Photo scavenger hunts and physical challenge courses are just the ticket when you’re playing at Pinnacle Peak Park or McDowell Sonoran Preserve. Or compete in our Amazing Race game. Great for corporate clients! Hotel/Resort Team Building: Whether you’re looking to fill a one-hour breakout session, add an ice breaker to a cocktail hour or reception, or deliver team building entertainment to a group of hundreds in a ball room or conference center, we can bring the experience to you at your hotel, meeting space, or resort. The Four Seasons at Troon North, Canyon Suites at the Phoenician, the Hyatt Regency Scottsdale Resort and Spa at Gainey Ranch: any one of them is a good pick for our on-site team building Scottsdale games.